Robert Bateman is one of the world’s greatest wildlife artists and most committed naturalists. This exquisite collection of recent works, all reproduced here for the first time in book form, is published in honor of his 80th birthday and features 75 full-colour reproductions of paintings depicting both North American and international wildlife scenes. This glorious edition includes an essay by Bateman in which he shares his wisdom on nature, environmentalism, education, and the role of art in the preservation of wilderness, as well as black-and-white sketches and commentary on specific works. 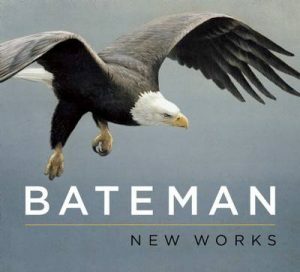 Bateman: New Works is an essential addition to any Bateman collection and a satisfying introduction to the work of this revered and iconic artist. Art has always been inspired by the wildlife around us. Since earliest times we have been continually fascinated by both wildlife and the challenge of representing it. 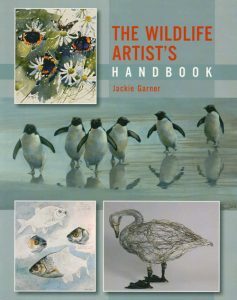 This book sets the scene of how wildlife has been portrayed in art and guides the reader through the principles of practical drawing and painting wildlife. It covers recommended equipment, techniques, fieldcraft, composition and anatomy, and offers help for those wishing to exhibit their work.